Did you know that the Special Collections and Archives maintain a collection of popular culture literature published over the last 100 years? The Popular Culture Literature Collection contains comic books, pulp fiction magazines, dime novels, and Big Little Books. The bulk of the collection consists of comic books in a wide variety of genres: from well-known Marvel and DC superheroes to comic adaptions of classic literature, as well as science fiction, western, and horror stories from independent publishers. Recent additions to the collection include campy comic books from small and low-budget publishers like Charlton Comics and Gold Key. In addition, the collection includes romance comics published from the fifties to the eighties. While most comics of the era were intended only for children; romance stories told dramatic storylines aimed at young women. These comic series had titles such as Teen-Age Love, Stories of Brides in Love, and Career Girl Romances. Aside from comic books, the collection includes a fair amount of pulp magazines from the thirties and forties. 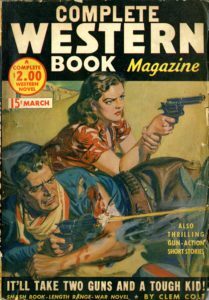 So-called for their poor quality paper, these publications contain lurid stories in fiction genres such as westerns, mystery, horror, and romance. Wertham, F. (2004). Seduction of the innocent. Laurel, NY: Main Road Books, Inc..
Server, L. (1993). Danger is my business: An illustrated history of the fabulous pulp magazines. San Francisco: Chronicle Books. Wright, B. W. (2001). Comic book nation: The transformation of youth culture in America. Baltimore: Johns Hopkins University Press. Barson, M. (2011). Agonizing love: The golden era of romance comics. New York: Collins Design. Arnaudo, M., & Richards, J. (2013). The myth of the superhero. Baltimore, Md. : Johns Hopkins University Press. Witek, J. (1989). Comic books as history: The narrative art of Jack Jackson, Art Spiegelman, and Harvey Pekar. Jackson: University Press of Mississippi. Goodstone, T. (1970). The pulps: Fifty years of American pop culture. New York: Chelsea House. Pustz, M. (2012). 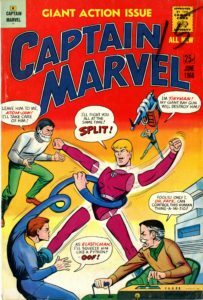 Comic Books and American Cultural History: An Anthology. New York: Bloomsbury Publishing. Questions about this collection should be directed to Kevin Fleming, archivist, Popular Music and Culture Collection, at 404-413-2880 or archives@gsu.edu. This entry was posted in For Faculty, For Graduate Students, For Students, Primary Resources, Resources, Special Collections & Archives. Bookmark the permalink.